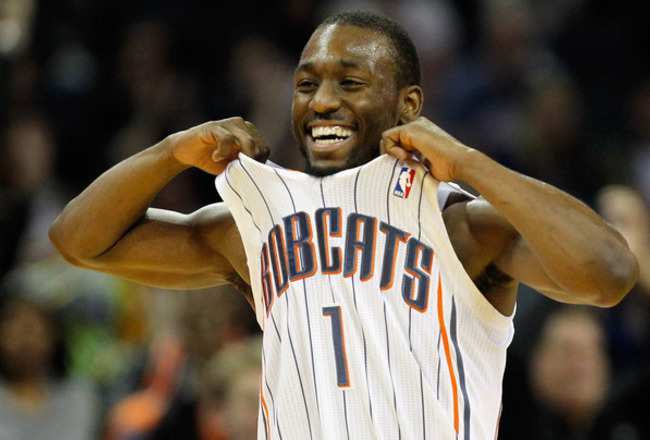 Charlotte Bobcats Making History for all the Wrong Reasons. The 2012 Charlotte Bobcats are on the verge of having the worst winning percentage in NBA history. Their record stands at 7-58 for the season and tonight they try to avoid having the worst winning percentage ever when they face the New York Knicks. With a loss they would pass the 1972-1973 Philadelphia 76ers who currently stand at .110%. Last night they faced the injury laden and controversial Orlando Magic and they still couldn’t win. The Magic went on a few huge runs, made some shots from behind the arc and the Bobcats were not able to get out a win. It sad to see a team lose so much and so badly but in the world of sports, this is sometimes a reality that many face. It’s good I’m not a coach, because I don’t even know what you would say to a team like this. Now I don’t want to sit here and criticize the NBA but honestly, the Bobcats’ record just shows the lack of team that is present in the NBA right now. And this very “lack of team effort” is what so many criticize the NBA for on a regular basis. Don’t get me wrong, the NBA has some huge stars and incredible teams. But can you honestly sit here and tell me which team in the NBA is best without shouting out their stars? While stars are present in every sport, it is mostly the NBA that has these star powers who are constantly carrying their teams every night. The Charlotte Bobcats do have some great star power but it has clearly not been enough. They are a fairly young team and it really just looks like they haven’t learned what playing like a team is about. I’m hoping that this season has been a big learning experience for them because I’m a huge Kemba Walker fan and I would like to see him do well. To quote Gerald Henderson last night, “Nobody in here is used to losing like we have lost this year, it just kind of humbles you and teaches you a lot about what it takes to be successful in this game. It also teaches you what it takes to have a good team in the NBA. It’s a learning process.” This team has a lot of young talent and maybe just maybe they will actually learn from this. So here’s the thing, it really doesn’t make a difference to me if they win or lose tonight because I think the bigger issue is what this means for the NBA. When teams reach incredible lows like this there are tons of questions that go throughout the mind of fans. We have seen teams in the NFL, MLB, and NHL with tough losing records but none really stand out as much as the losing records that occur in the NBA. The biggest issue here is the lack of team play in the NBA. I don’t want to sit here and continue to criticize the NBA because I do like sports and I enjoy the NBA playoffs. But the Bobcats really go to show the bigger issue here. Many people, don’t support the NBA because there is such a lack of team. Charlotte is just another example of the NBA’s problem. Lack of team play. Maybe their lack of success will force NBA players to look into the team effort. There are always going to be the star players, but maybe these stars will step up and raise the perception of their team and the overall NBA. Regardless of the outcome of tonight’s game, the Bobcats have a staunch task ahead of them for next season. They have the best chance for the #1 pick in the draft and can therefore draft the #1 player entering the draft, Anthony Davis (Kentucky). The biggest question then is will Davis be able to help them play as a team? One thing Davis has is the understanding of team basketball that was played at Kentucky. However, his star power coupled with the already existing players of the Bobcats doesn’t necessarily mean they will be automatically good. They need to play as a team before they can be successful. The NBA is currently about success and money, all sports are, but they are the prime example. The Miami Heat and LA Lakers are examples of successful teams who do so with their star power. Its specifically because of the lack of team present in the NBA, that I rooted for the Mavericks last year. It is said, “there is no I in team,” an idea that the NBA sometimes fails to recognize. I don’t have an answer to this problem that the NBA faces but I just want it to be known that another sports fan thinks something needs to change. NBA, let the Bobcats be your wake-up call. Thank you. Those are the first words that came to mind as soon as I found out Pat Summitt was stepping down as the Head Coach of the Tennessee Lady Vols last week. Even though I usually root against the Lady Vols, I will forever be indebted to Pat Summitt and everything she has meant to college sports and specifically, women. The impact that Summitt has had on the world of women’s basketball will never go unnoticed. Even those who criticize women’s basketball know who Pat Summitt is and would never deny the impact that she has had on the sports world. And not only does Summitt own the record for the most victories in all of college basketball (Men and Women), no one is really that close to beating her either. I have been lucky enough to see Summitt coach in person. The sidelines of a Tennessee basketball game l will never be the same. The energy and prowess that she brings to the court will probably never be matched. Pat Summitt built the Tennessee Volunteers Women’s Basketball team into one of the biggest powerhouses in sports. The legacy that she leaves behind is one filled with championship victories and successful student-athletes. But she is not done yet. Summitt will still be a presence on the Tennessee Lady Vols team as Head Coach Emeritus. In a week where I have seen countless articles about the struggle of women in the sports world, Pat Summitt has been the model of just how far women have come. She has elevated the sport of women’s basketball to what it is today and has also been integral in the elevation and status of women in the sports world. 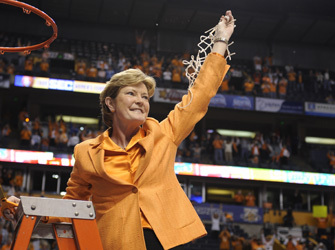 What Pat Summitt was able to accomplish during her 38 years at Tennessee, some people just hope for in their lifetime. She took the Tennessee Women’s Basketball team from a small gymnasium where they had to fight for practice time to a state of the art, basketball only practice facility. I had the opportunity to visit that basketball facility last year and let me tell you, its beyond amazing. While the sports world has always been faced with scandals and violations, Summitt was never in that part of the spotlight. Pat Summitt has reached all of her accomplishments without controversy. She hasn’t needed violations to get to where she is today and her legacy is richer because of that. No matter what, Pat Summitt will always be a part of sports history. After being diagnosed with the early stages of dementia and coaching an entire season through this diagnosis, it was time. As any fan could tell you, there were times when she just didn’t look the same on the sidelines. Alzheimer’s is a tough disease for many reasons but what saddens me the most, is the effect that dementia can have on a person’s memory. Pat Summitt has so much to remember and be proud of that its a shame she might not always remember her accomplishments, accolades, and experiences. But let’s not think about what Pat Summitt might or might not be facing in the future, because based on the challenges and accomplishments she has had in the past, she won’t be backing down from this fight either. She will continue to be a spokesperson for Alzheimer’s and work with her fund, the Pat Summitt Foundation Fund. Summitt has meant so much to the world of sports and while she has stepped down from being head coach of the Lady Vols, I doubt that she is done making her impact. So from one woman to another, thank you, Pat Summitt. Thank you for everything. last night, 5 student-athletes from the university of kentucky’s championship men’s basketball team declared for the 2012 nba draft. 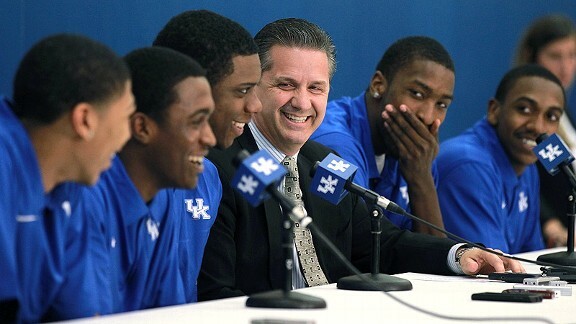 freshmen anthony davis, michael kidd-gilchrist and marquis teague, and sophomores terrence jones and doron lamb sat at the head table complete with their coach, john calipari and explained their intentions over a televised news conference. with their departures, kentucky loses 93.3% of their offense from this season. let me just say, i don’t think anyone was too surprised by the announcement. the media present at the conference and espn3’s coverage could not have been better suited for a more deserving group of guys. they played a complete team game en route to the 2012 national championship victory over kansas. but its not about the media or the hype its about the whole “one and done” situation. these 5 guys are projected to go in the top 30 picks of the nba draft (davis at #1 and kidd-gilchrist at #2) and have chosen to leave college after 1 year and pursue the nba. the critics will talk about this for years. 5 students who are basically throwing away their opportunity at a college education to play basketball. but seriously, who wouldn’t jump at this amazing opportunity? this is the world we live in and i can’t really blame any of them for taking this opportunity. as a fan of the game of basketball but also as a person who works in the world of academic support for college athletics, i have been struggling with my feelings and opinions on this very matter. i’m completely torn. this is a decision and a choice that is also present in many other intercollegiate sports that have a professional league. i’m a big believer in the “stay in school” mantra and therefore a big fan of the ncaa commercials that declare the importance of school and being a student-athlete (“just about all of us will go pro in something other than sports”). i don’t think anyone will ever deny the importance of a college degree. however, i can’t help but be happy for the 5 guys from kentucky who have just declared for the draft. its not like they declared they would be going to the draft when they started school and its not like they spent the entire basketball season playing by themselves. yes, there are the people who argue that calipari is a “one and done” coach and that he just prepares his players for the nba. its not like this is the first time that any of his players have chosen to leave school after one year. but, this isn’t about calipari. its about these 5 guys. its about the way they have played as a team this whole year and brought a national championship to their school. its about their personal situations. and, its about their futures. ultimately, this is each one’s own choice. if the nba did not allow people to enter the draft then this wouldn’t be a problem. but they do. so it is. i can guarantee that this wasn’t such an easy decision for any of these guys to make. they have themselves, their families, and their futures to think about. ok…so put yourself in one of their shoes. pretend you are michael kidd-gilchrist and you have this opportunity to probably be picked #2 in the nba draft and make all your dreams come true. what would you do? see, its really not so easy. let me set the stage for you: the usual playoff beards are in effect, the fans are going crazy, and the fights are a plenty. it is playoff hockey season in the national hockey league and so far it has not disappointed. well, if you are a canucks or penguins fan then you might not agree completely. so what’s going on? the playoffs are pure madness as far as the flyers/pens and canucks/kings fans might agree. the pittsburgh penguins most known for their star player sidney crosby have been favored to win it all. or at least to beat the philadelphia flyers. but they look like a team about to collapse and on the brink of being swept. to make matters worse, this game is such a huge rivalry that emotions are constantly flaring. however, the penguins do have the ability to come back and while they are down 3 games its always a possibility. then you have the vancouver canucks and the los angeles kings. i don’t know if people are more surprised by this series or the flyers/pens right now but i do know that this is craziness. the highly favored president’s trophy winner, the canucks, are on the verge of being ousted by a team that has never taken a 3-0 in the series. if any team can come back from this, the canucks have that power. they can score a lot of points as we have seen this season so game 4 should be good. the other playoff series are pretty reasonable, a few ties right now and a 2-1 lead by the predators. but none of these games are short of the drama. there have been 2 suspensions from the rangers/senators game that could provide costly in their current series. right now, it looks like there are a lot of teams that could grab the stanley cup but the question is, how easy will their road be? will there be more suspensions? who will emerge as the stars? the suspension of hagelin (ny rangers) and carkner (ottawa senators) just further proves that while the nhl will allow some of the drama, they are still serious about the punishments. some critics might say that hockey is too violent and that the grown men and hockey players should not be fighting on the ice but really, that’s what everyone loves about it. what i like about hockey is that the excitement and passion from the fans translates to the ice and vice-versa. its not like the players don’t know what they’ve signed up for. i went to my first professional hockey game last week and really felt the energy. everyone wants to get in on the game and the players exude the passion and excitement. being that im a fan of sports, i love this madness. no one has really predicted that this was going to be the way the 2012 playoffs would pan out. from the looks of the 1st week of the playoffs, things will definitely get more interesting. not gonna lie, im more likely to watch these games now just to see the increased fan craziness and the ever present possibilities for more drama. so many violations. so many scandals. and just another typical week in sports. its been a few weeks since we found out about the saints bounty scandal and only just a few days ago we find out about baylor university’s violations and impermissible recruitment of many of its star athletes. to give a quick recap. after careful investigation, the nfl found that the new orleans saints were in paying money and offering incentives to their players to knock players from other teams out of the games and injure them as well. obviously, no one really knows what went on but there is significant proof of these incentives and completely wrong acts. the nfl has since suspended the head coach, sean payton , for the entire season and suspended their general manager and one of the assistant coaches. not only were the bounty activities wrong, but people in the saints organization failed to report what they had seen and heard. many of the penalties could have been prevented had someone just said something but instead they let it go. the baylor thing is a little more fresh. an athletic department that has had arguably their best athletic year in their college’s history is now being shown in another light. their violations have to do with the recruitment of their men’s and women’s basketball players. impermissible texts and visits have been found to have occurred by both coaching staffs. 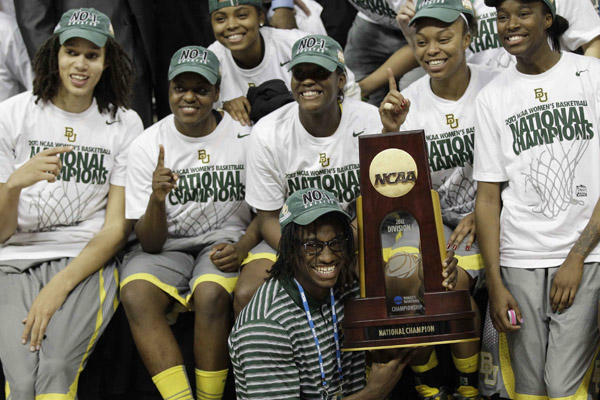 yes, both baylor’s men’s and women’s teams have been extremely successful this year. and the women’s team has the best player in the country, brittney griner. while the baylor athletic department has imposed some penalties on their own, the ncaa could offer further penalties. for now, we just sit and wait. there is no question that what the saints and baylor athletic department did was wrong but the question is where do we go from here? let me say first that these are completely separate issues. imposing harm on someone is very different from improper recruitment of athletes. yet, the coaches of both teams broke the rules. the saints could have in fact caused injuries to people and baylor might have unfairly won a championship. how is it fair for teams who break the rules to win and be successful while other teams can do it without breaking the rules? trust me, teams that don’t break the rules can win fair and square. rules are basically what sports are based on. if there were no rules, then there could be no winners or losers. if there were no rules then we wouldn’t really have anything to measure our sports and our athletes with. so when will it stop? when will coaches, players, and fans realize that by breaking the rules they are damaging the perception of sports? it’s not like these are the first rule violations that we have seen. the ncaa has come down hard on some of the sports and athletic programs that have broken rules (usc, ohio state, uconn etc.). i’d need a completely new post to discuss the ncaa and their varied penalties and punishments so i’ll stop here. but again, the ncaa, just like roger goodell, has the opportunity to set a precedent that will greatly affect the sports world. im not going to tell you what i think the nfl and roger goodell or the ncaa should do because frankly, they have their own set of rules. the bigger issue here is why? why do people feel the need to break rules that are so fundamental to the world of sports? i don’t know how we make people follow the rules but i do think that the more we talk about it and the more we bring these issues to the forefront, the less likely people will be to break the rules. it’ll be interesting to watch and see how this year’s saints team responds and what the ncaa chooses to do with the baylor athletic department over the next few weeks. major league baseball season is officially upon us! while many of us are still invested in the nhl and some even in the nba (not me really), the baseball season is about to get underway. too many people say that the game of baseball is too slow for them and they can’t watch because the games are so long but if you’re a true sports fan, then you like the game of baseball. there is just so much going on in each game and series to not care and just like every baseball season, its almost impossible to pick who is really going to win the world series. last year’s winner, the st. louis cardinals were a huge surprise throughout the regular and post seasons. and just like last year, i expect this year to be no different. i’m not going to sit here and predict who will win the world series. things can change so much over baseball season and from game to game, that a prediction from me would be foolish. but i will tell you what i’m excited about this season and a few of the exciting things i will be watching for now until the last pitch is thrown in october. so there’s this new guy. his name is yu darvish. he is the new japanese pitcher for the texas rangers and the hype that follows him around is everywhere. the thing about darvish is that aside from his numbers in japan and in the preseason, we really have no idea what to expect. if what they’re saying about him is true though, then i’d say, expect him to be good. another loud story are 2 big coaching changes that occurred this offseason. both ozzie guillen (miami marlins) and bobby valentine (boston red sox) have a lot to prove. will both the red sox and the marlins be able to capitalize on their coaches or will the coaching changes hurt them. bobby valentine seems like he has only brought more hostility to the red sox franchise so it’ll be interesting to see how the team responds once the season starts. the detroit tigers are one of the teams that have some really high standards set for them coming into the season. they signed prince fielder in the off season and already have perfect pitching in justin verlander. the major analysts haven’t picked them as the preseason #1 but they have put them in the top 5. this could be good for them. the standards for the tigers are high but not too high. the yankee fan in me wants to say that they are the best and most exciting team to watch but obviously there are many people who think otherwise. however, i do think it’ll be interesting to see how andy petite pitches when he is back with the yankees (since he has come out of retirement) and if robinson cano can pick up where he left off last season. i would hope that again cano will be in the running this season for mvp. the yankees are a team that thrives because of their history which can be good and bad. their star players, derek jeter and alex rodriguez are aging but they do have some young guys who should be able to compliment the aging greats. i could talk about baseball for days but i better stop while i can. obviously, i have left many teams off and ignored others, but i have a whole baseball season ahead of me. more posts about the 2012 mlb season to come. so today is the day that the entire men’s basketball season culminates in the national championship game. everyone is excited including me. but, there is another important game that takes place tomorrow and seemingly gets no love. tomorrow night is the ncaa women’s basketball championship. this game features 2 incredibly talented teams with star power and star coaches. both brittney griner and skylar diggins are amazing examples of women athletes who elevate the level of play in the women’s basketball realm. 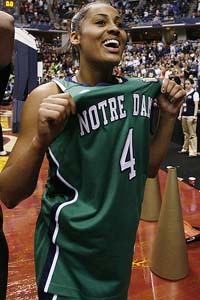 brittney griner is hands down the best post player and skylar diggins is the best point guard. notre dame just beat uconn for the 3rd time this season and baylor just beat stanford. plus, baylor is going for an undefeated record of 40-0. while they are the favorite, im rooting for notre dame. just like kentucky and kansas, these teams have incredibly likable and talented star players as well as highly successful coaches who beat to their own drums. however, despite their efforts, the love for the women’s game seems to be at a low standstill. i feel like people have been grappling with this issue for years. how do we garner more attention for the women’s game? how do we not only get people to watch it, but to also like it? well i have one suggestion. why doesn’t the ncaa pair both the men’s and women’s final four championships together? picture this: all in one city, friday night – womens final four match-ups, saturday night – men’s final four match-ups, sunday night – women’s championship, monday night – men’s championship. put all the games in the same arena and create hype. then the teams can promote together and the fans can as well. there is definitely enough room and enough hotel space in any of the big cities for this and i think each city could only benefit. now, im not saying everyone needs to fall in love with women’s basketball. the women’s and men’s game are definitely different. but im saying if the ncaa wants to garner more attention for the game, they should at least attempt to sell more tickets and create more hype. so while you’re wallowing in your sorrow tomorrow night because men’s basketball is over, you can still watch a good sports game. no doubt the 2 best teams in women’s basketball will be competing and it should be fun to watch. plus, i think we owe it to skylar diggins, brittney griner, and all of division-I women’s basketball.